Early detection of lung cancer changes everything – from the way it’s treated to quality of life and life expectancy. 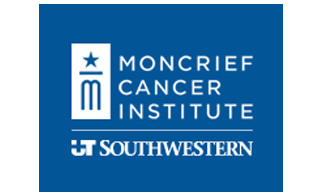 Moncrief Cancer Institute offers a low-dose CT lung cancer screening to look for potentially cancerous spots in people who are at the highest risk for developing lung cancer. For those over the age of 55 who have smoked the equivalent of a pack of cigarettes a day for 30 years, the risk for lung cancer is high enough to be screened. The primary purpose of a computed tomography (CT) screening is to detect and diagnose lung cancer at an early stage to improve treatment options and effectiveness. The pictures of the lungs provided by a low-dose CT scan are better for finding abnormalities than a traditional chest X-ray. UT Southwestern radiologists, accredited by the American College of Radiology, will review the CT images for the presence of lung nodules, masses, or other abnormalities that might indicate lung cancer and, if any are found, can begin the necessary treatment. A study conducted by the National Cancer Institute of more than 50,000 current or former heavy smokers revealed that participants who received low-dose helical CT scans had a 20 percent lower risk of dying from lung cancer than participants who received standard chest X-rays. The amount of radiation received during a lung cancer screening CT exam is less than the amount received annually from naturally occurring radiation that’s present in the environment. CT scans can potentially pick up spots in the lungs that are ultimately revealed not to be cancerous, but their presence could lead to anxiety about the findings. The process to determine if these spots are benign or malignant can include additional procedures to help diagnose the findings and, in a small percentage of cases, can involve surgeries that would otherwise not be recommended. Also, the small dose of radiation from the exam poses a small and negligible risk of causing cancer. Talk to your provider about the pros and cons. Financial assistance for those who qualify is provided by a grant from the Cancer Prevention and Research Institute of Texas (CPRIT). During the exam, the patient lies flat on the CT table while the scanner rotates around the table, gathering images of the inside of the lungs. The CT images provide the radiologist with detailed information that will be used to detect and diagnose disease. The entire screening exam is typically completed in approximately 10 minutes. A UT Southwestern radiologist will interpret the exam. The results are provided to both the patient and the physician designated by the patient when scheduling the appointment for the screening. Our Lung Screening Nurse Navigator will assist the patient through the entire screening process, including the findings, tobacco cessation education and next steps for treatment if necessary. Take action to get screened. Contact our Lung Screening Nurse Navigator at 800.405.7739 or email lungscreening@moncrief.com. For more information on Moncrief Cancer Institute's Lung Cancer Screening Program, click on this link: Lung Cancer Screening. The information is available in English and Spanish.